Hi moms, thanks in advance for your support. My 7 year-old is unable to balance herself on a bike (without training wheels) or ride a scooter. She sees all her friends playing and desperately wants to join in, but her fear overrides her desire to learn, so we both end up frustrated. And sometimes in tears. How can I help her?? Comments for Help! Balance issues! It is hard to say what your daughter's underlying difficulties are from an OT point of view - it could either be gravitational insecurity (fear of movement) or coordination delays that make it hard for her to coordinate her movements to pedal a bike or propel a scooter. If she struggles with or dislikes other activities involving movement, such as swinging, roundabouts, escalators and elevators, being swung through the air, then it may be gravitational insecurity. If your daughter finds it hard to cut with scissors, catch a ball, tie her shoelaces and do other "two-handed" tasks, then it may well be poor coordination that is hampering her from getting the hang of pedaling/propelling. Either way, you would need to address the underlying issues before she will feel confident enough to tackle a bike or scooter. I would recommend you ask a sensory integration-trained OT to evaluate her and give you a program you can follow at home. 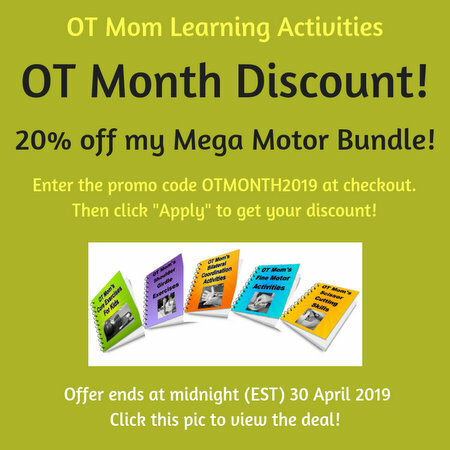 I do have some coordination activities on my site, as well as some suggestions for movement activities, but given your daughter's age and her intense fear, I think an OT check may be warranted. I did face similar issue with my daughter and here is what worked for me. First of all bikes with training wheels is not a good idea to learn balancing of bike. You should get a balance bike (with no pedals). The way it works is the kid pushes with both legs and then lifts both the legs up from the ground and try to balance the bike. Take your kid to the park away from her peer kids (Take the peer pressure off) and practice on balance bike for 2-3 days. You can draw 2 lines start and end and let the kid push from the back lift the legs up on start line and try to make it to the end line. Start small and increase the distance. once, the kids gets a hang of balance, it is time to take off the training wheels of the regular bike and do push thing on this bike now. Once kid is comfortable doing this on regular bike, it is time to use pedals on regular bike. I am sure your kid will be able to do it. Good Luck !! My two kids have OT and vision issues and heartbreakingly could not tide a bike even with training wheels. In a waiting room for therapy a mom in a similar situation told me about the Yflicker scooter. My kids love it,other kids wanted to borrow it, which made them feel soooo much better and they both feel very competent and confident on it. They are available at Toys R Us ...You won't regret it! BEST MOM TIP EVER! Return to Gross Motor Invitation.